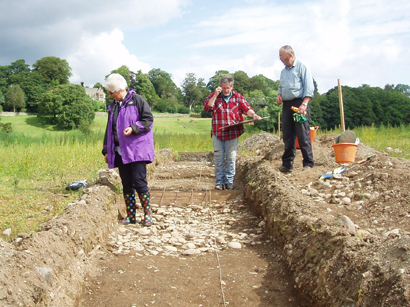 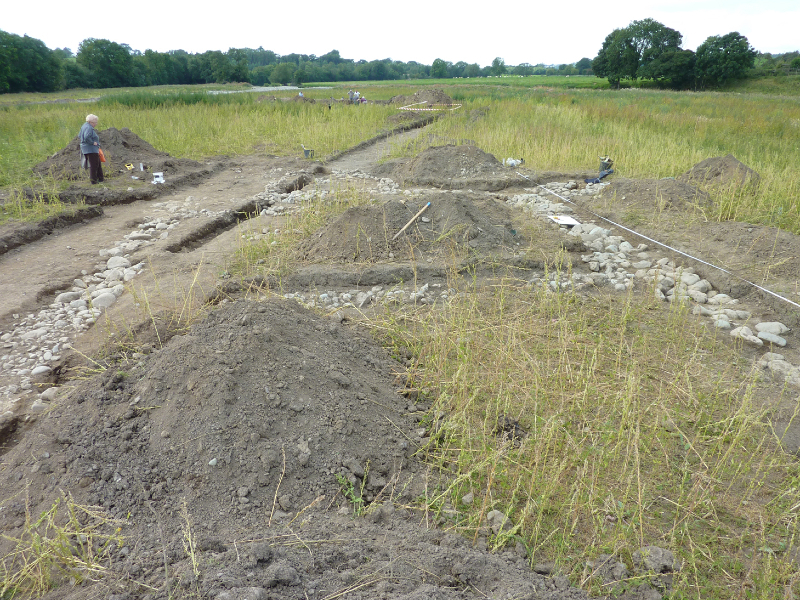 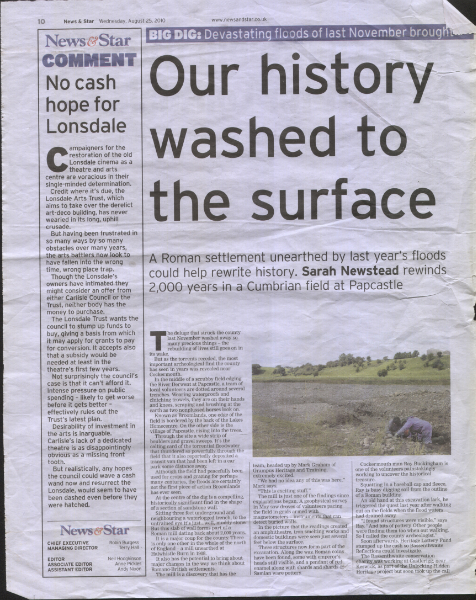 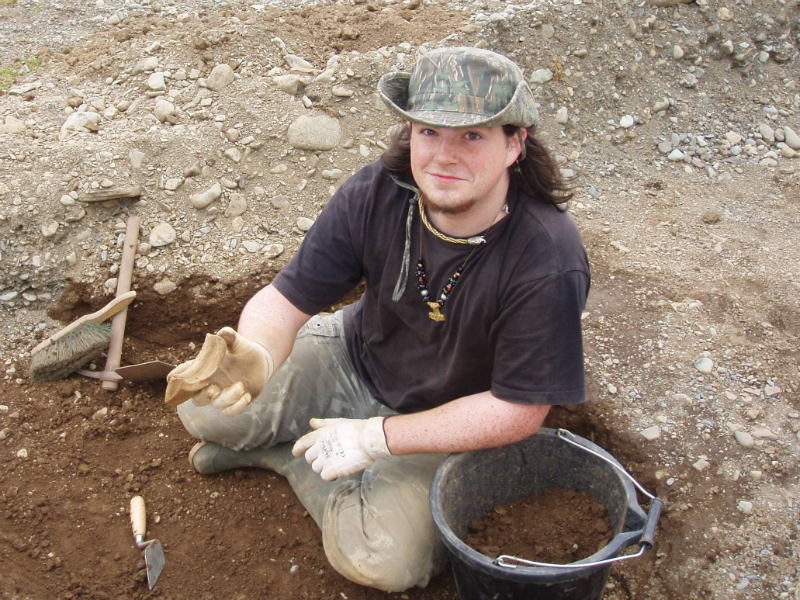 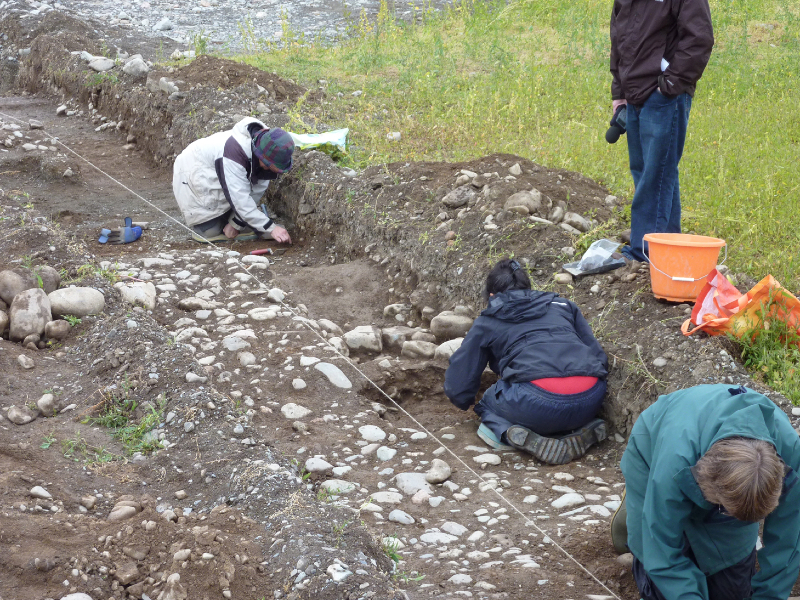 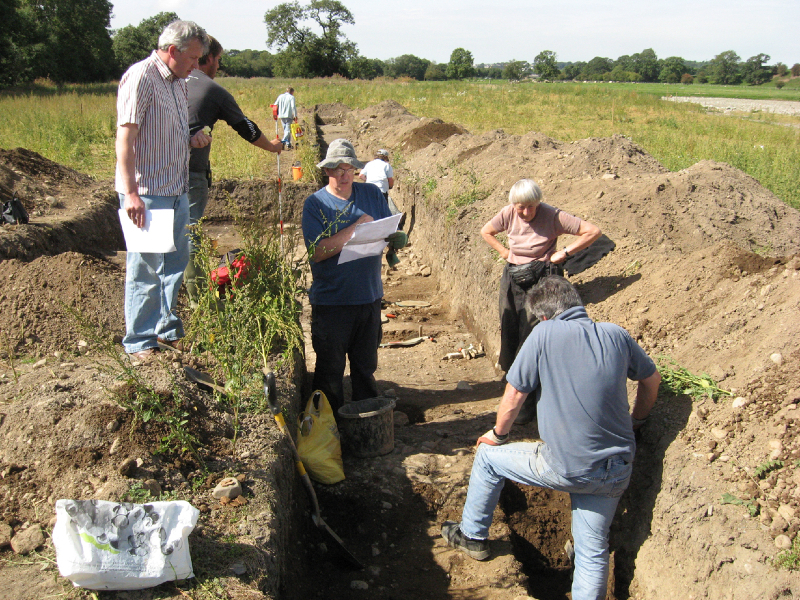 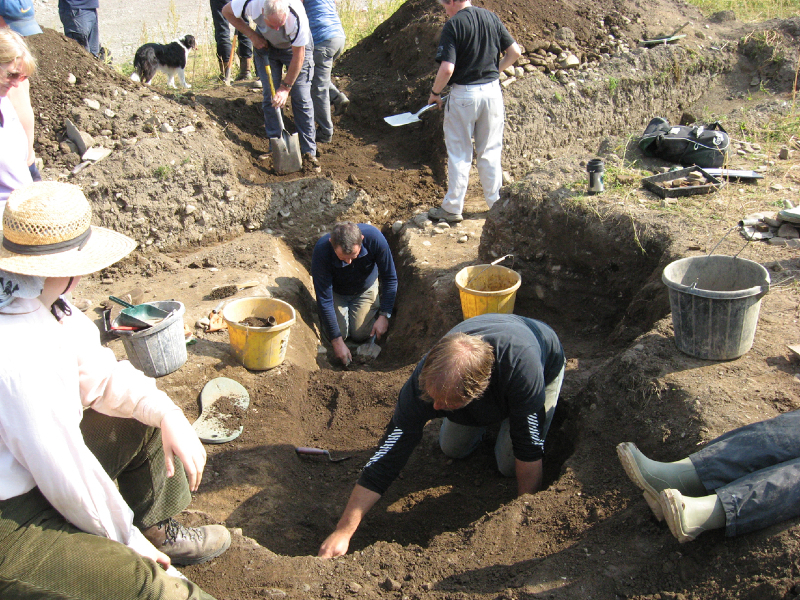 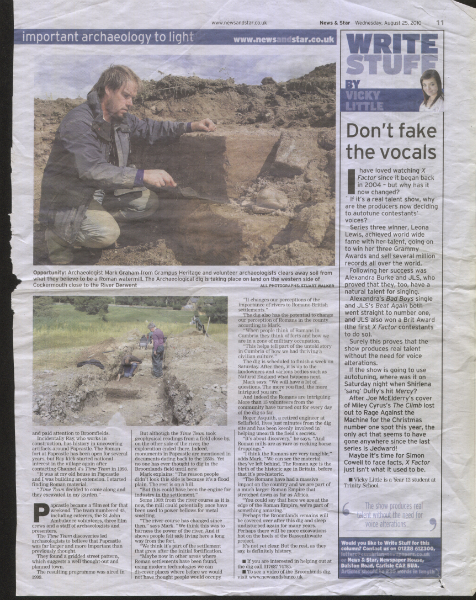 Following the geophysical survey in Spring 2010, the Bassenthwaite Reflections programme funded a 4-week community excavation to investigate the anomalies discovered in the Broomlands field. 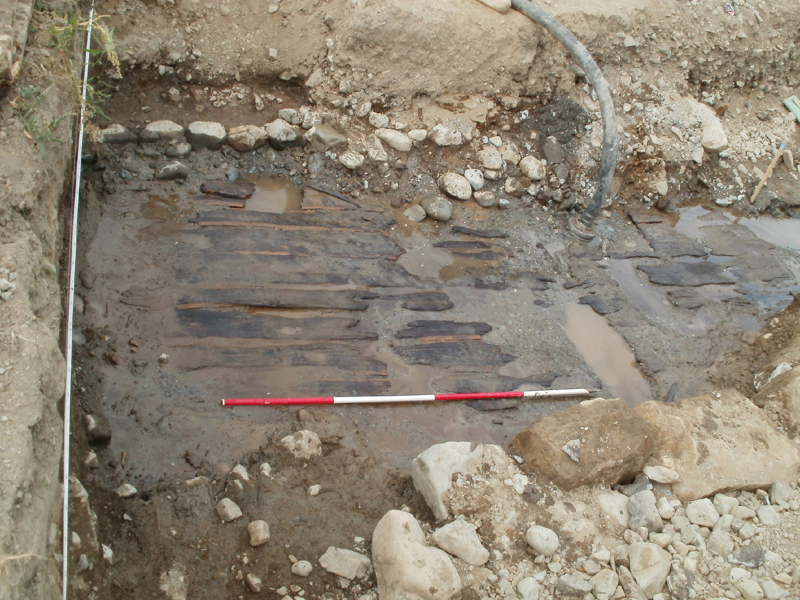 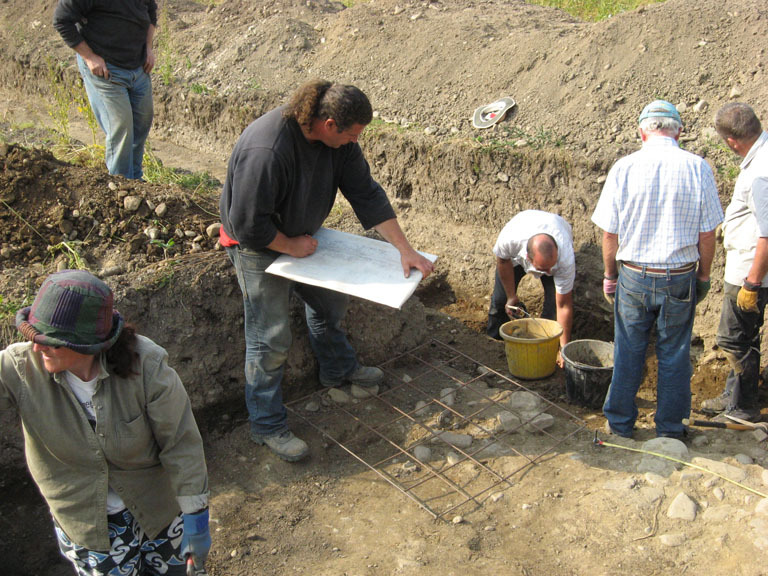 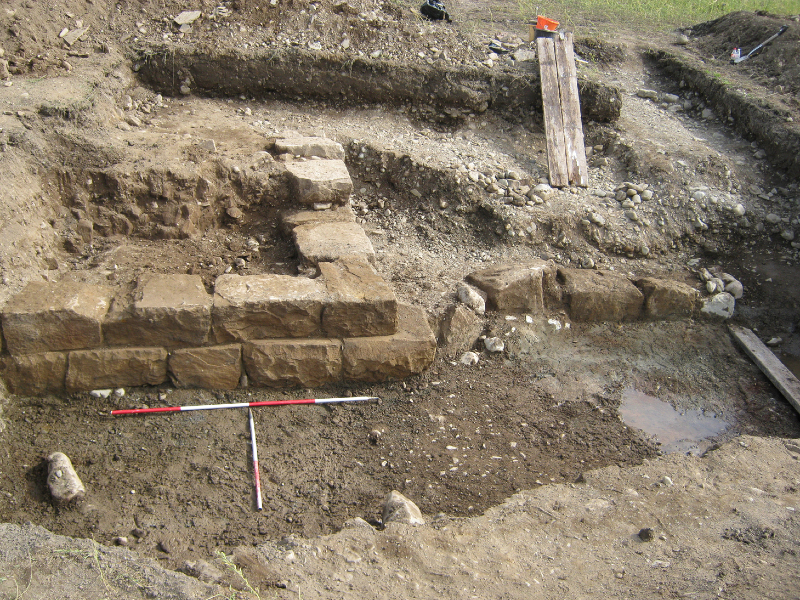 This excavation dramatically increased our knowledge of the significance and extent of the vicus at Papcastle. 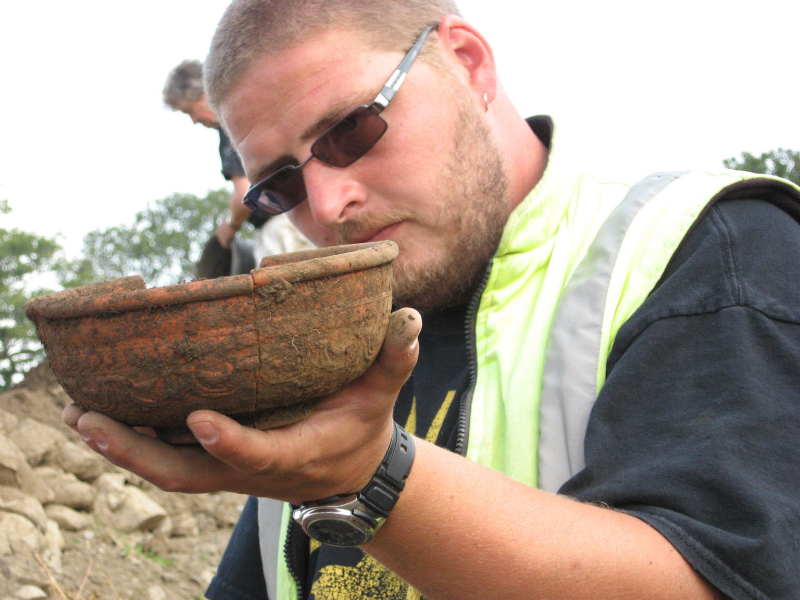 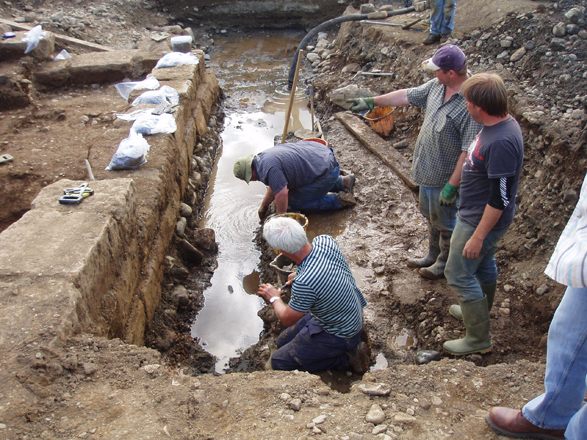 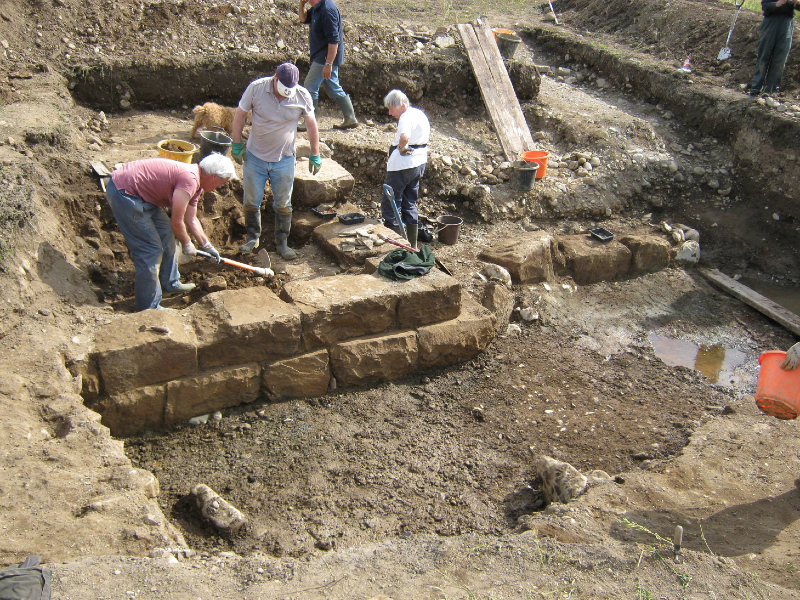 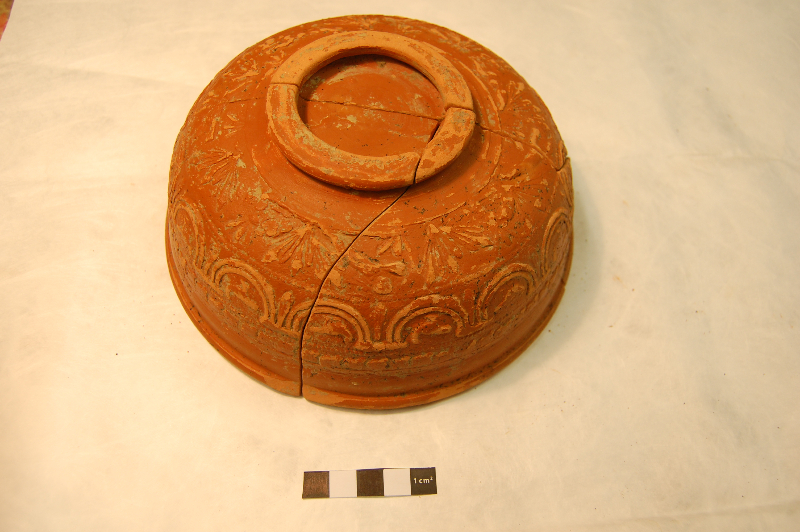 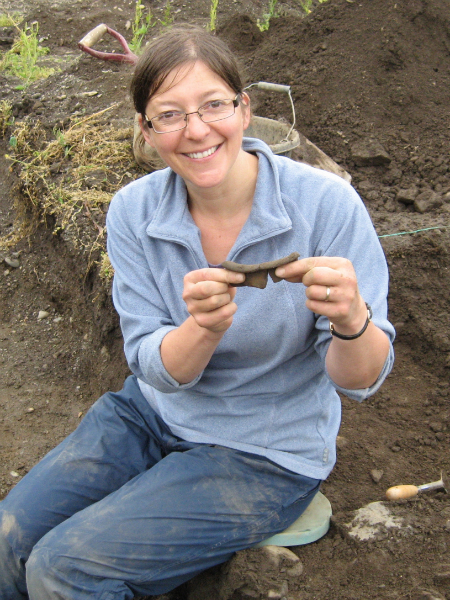 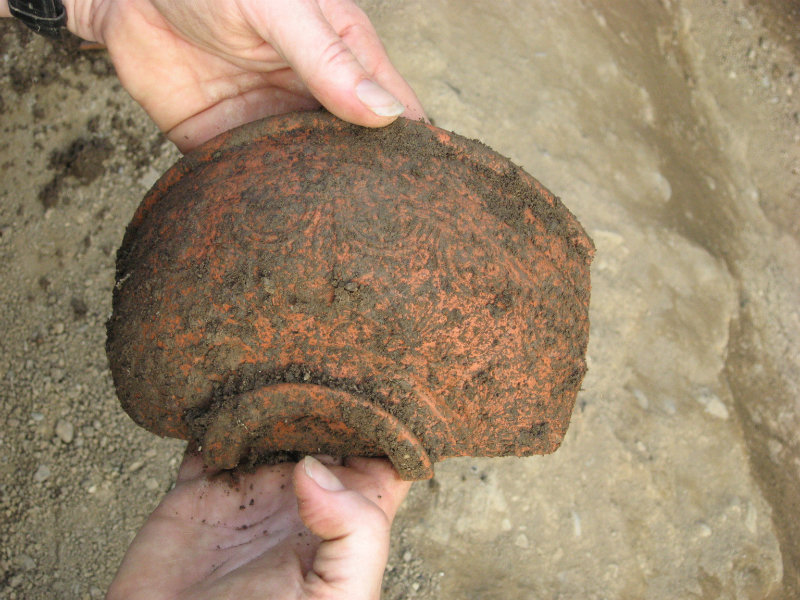 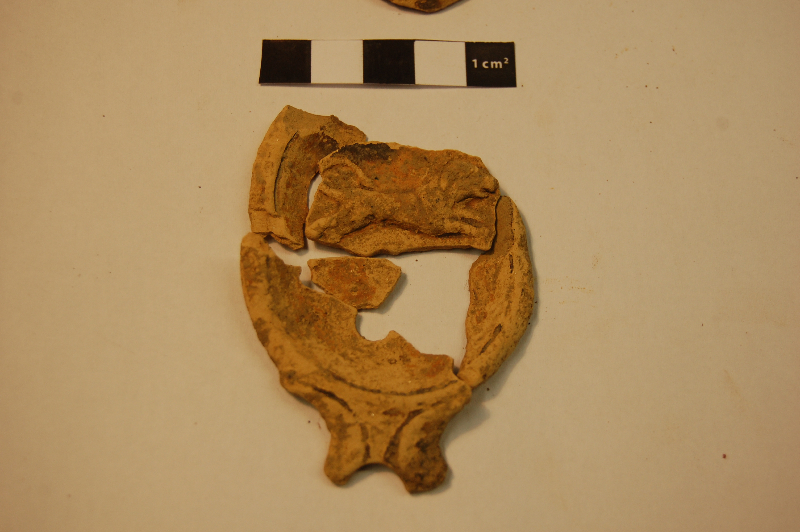 Highlights of the excavation included a complete samian ware bowl, fragments of inscription and a Roman Watermill with a timber lined mill race.